I gave her a few hybrids and some of the more valuable items from my closet as a housewarming gift. She’s already started to landscape her town nicely, like this row of trees. Rows don’t usually work out in my town. xP I need to test for Dafdilly’s dead spots one day (soon, I hope). Love the pastel color scheme she has going on so far! I apologize about these pictures, my camera has trouble capturing AC:WW’s evening colors. It takes a few shots to get a decent-colored one, which there isn’t always time for in WiFi sessions. Soon she wanted to visit Dafdilly, but I got a picture of her map before we partied over. It’s a lovely town and I’m so jealous that she has Bob! 😛 Bluebear is really cute too, I like her a lot. Welcome back to Dafdilly! This is Saima’s second visit, but we didn’t have much time for the first one. Sorry my town is behind real time (but it was only a matter of days at this point). She noticed my scallop beach and I offered her one of them. They aren’t cheated scallops or anything (I haven’t ordered from any giveaways and I don’t have AR); I ordered massage chairs over and over one day by forcing the mail delivery, which you can do by having someone visit or sending 10 letters at once over and over, basically. 😛 Then I talked to Tortimer with a massage chair in my posession, received a scallop, entered and exited the town hall, and talked to him again and again, receiving a new scallop each time. And next was Ables’, which is kind of embarrassing since I use it for storage sometimes, or to transfer patterns between characters. Only half of them are for clothes, and one of them is Teru’s, the super colorful one. Stopping on the way to Meloetta’s house to admire these awesome cracker patterns! This is her cute pink house on the outside, already upgraded. Kammile wanted to come over to Dafdilly with Harmony as the host for a change, so this was Harmony’s fist WiFi session. 😆 As you can see by the timestamp, Dafdilly is still behind the times. It’s a rough draft because obviously the base of it wouldn’t be left white, I was planning on having it be cobblestone. And the droplets were going to be white instead of blue; I just didn’t feel like coloring every square in the background a dirt color beforehand to allow for white going on top. This took so long to finish because I kept lingering over silly things like how the pond should be shaped (symmetrical or assymetrical? ), where the rocks should be located (all around or in certain places? 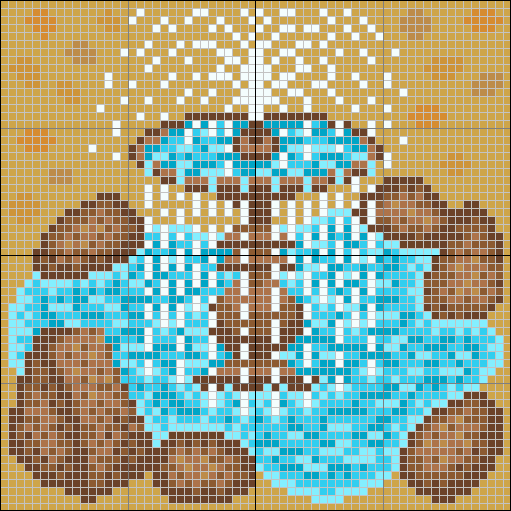 ), and how I should shade the rocks and water. I wanted to make bench patterns as well, but it’s really time to move on with the new season, which will be my next post. Posted on December 4, 2011 by Amy •	This entry was posted in AC:WW, AC:WW WiFi, Dafdilly and tagged Animal Crossing. Bookmark the permalink. Thanks! I’m sorry I was late for the submission, things got a bit hectic and I underestimated how long it would take to finish the pattern due to my fretting about those silly things I mentioned. >_> It’s funny you make that suggestion because I actually meant for the pond to be assymetrical. 😆 You can see the curves in the pond better in this picture, but it does appear oval-shaped in the photo. already made it. 😆 It’s one of the things i will anticipate on your blog! Thanks so much Jemma! 😀 Oh yeah, I remember that. 😛 To make the backgrounds I use parts of different computer screenshots taken with an AC:WW rom played on a DS emulator. I found downloads for those things pretty easily with Google if you want to give it a try yourself. But I’d also be happy to try making a background for you if you describe what you want it to look like. Would you really want to make a background for me? That’s so sweet! Thank you Amy! PS: Would there be anything I could do for you? 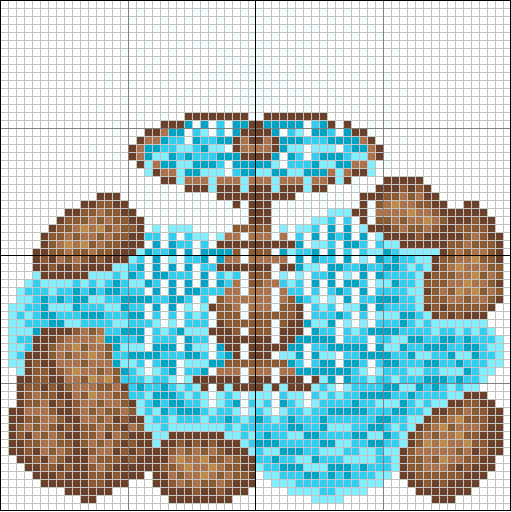 Speaking of which, WE ALL REALLLLLLLLYYYY want your fountain pattern (the one with the rocks is awesome….). It’s not like I wi-fi or anything so…. yeah… and maybe for winter to you can do the winterground and then have a brown fountain with icicles on it instead of water. Wouldn’t that look cool??? HOLY MOLY, Twisk!!! That fountain pattern is AMAZING!! Hehe, sorry, kind of freaked out there. But seriously, that’s the most amazing pattern I’ve seen in ACWW! You’re so talented, Twisk! 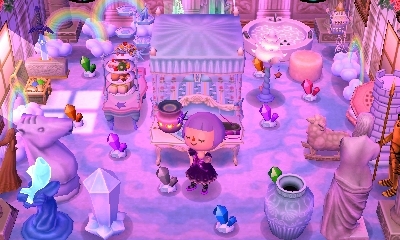 I am definetly going to use this pattern in my town! And your winter blog theme is beautiful, the falling snow is lovely! …..I LOVE YOUR PATTERNS AMY!!!! Wow, thanks a lot for that! 😀 It made me smile. Your fountain is amazing!!! The rocks and the water are so convincing, and I love the design of the fountain itself! It makes me feel like it’s such a pity patterns have to be flat on the ground x3. Oh and Teru, While reading through your new post. These two are my permanent characters for Alp Wood. 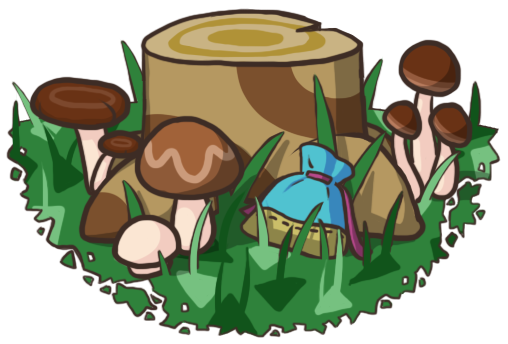 items on Amy’s temporary town on her other game card. 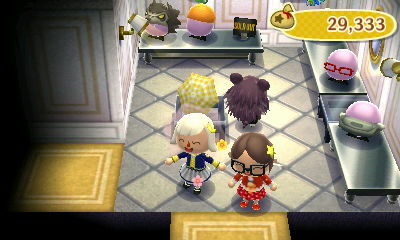 and soon after that, I asked Amy if she could move Goldie to my town. i was placing my stuff on Amy’s Temporary town. Oh, I meant that when Kammile as Meloetta greeted Goldie, Goldie probably said something like “I just moved here from StarCity!” so that would be bittersweet, being remembered from a past town in a way, but not being recognized. 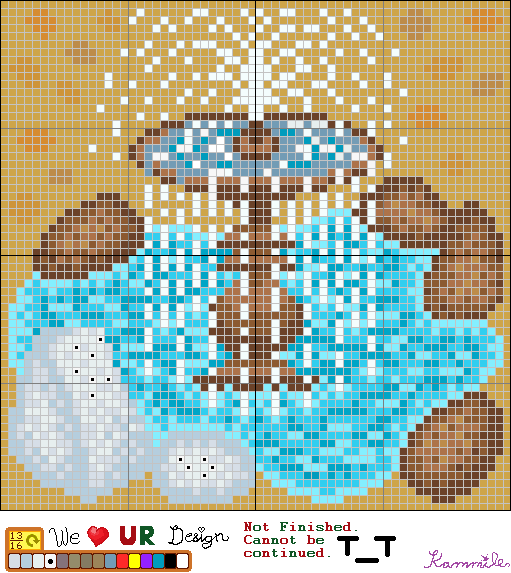 I wonder if there will be 3D fountains and such in AC:3DS, and if the outdoor furniture provided will eliminate the need for pattern landscaping. I kind of hope you can still lay patterns on the ground, it’s a fun hobby. My backgroun is ridiculus 😆 well it”s not really ridiculus it’s just….. normal 😉 it’s a photo of the street of Hogsmade in the Hp park in Florida! 😛 I love that photo but I’m triyng to do a background with the insturocions than you give to Jemma 😆 but the final result isn’t good 🙂 jajajaja so at the end I have the Hp park photo in my background! Thanks Emma, that’s nice of you to take time out of your trip to comment. 😛 Wow, you’re in Italy? I’m learning about ancient Rome in one of my classes and would love to see the Pantheon and Colosseum. But I don’t even know if you’re in Rome. 😛 Anyway, I hope you have a nice trip! Plus I’d like to ask if you can please make me a background. Can you please do that? If you can, please send it to my email! Amy, It’s still MonkeyDoodle on ACC, Aronelo on WordPress,(I lost my password and the reset email sent the wrong link) and I am wondering how you get it to snow on your blog. Hey Monkeydoodle! It’s pretty easy, on the left side of your Dashboard click on “Settings” and then “General” from the drop-down menu. There should be settings about the title of your blog, the blog email address, etc., and at the very bottom there’s a box you can check to have snow falling on your blog until January 4th.